Below is a visual representation of our standard banner sizing. 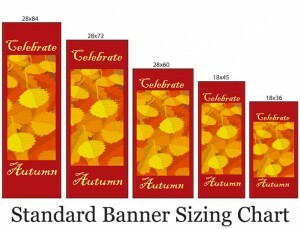 These are our most common sizes however we can manufacture our banners in almost any size. Please contact an Account Executive for more details.